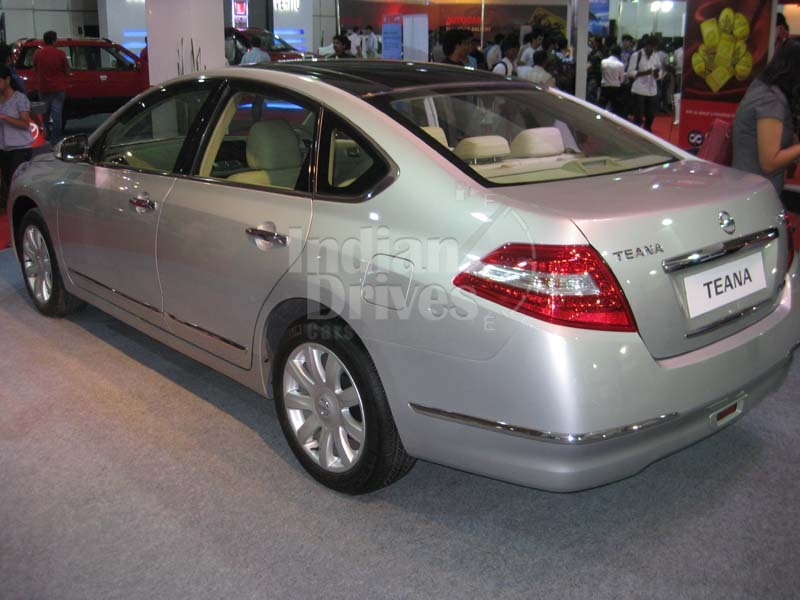 The Nissan Teana, a premium sedan from the leading car manufacturer of Japan is being offered in the Indian market at an excellent discounted pricing of Rs.17.99 lakh on the base variant at a dealership of Nissan in Pune. Speculations are on to identify the reason for such a lucrative discount being announced by the dealer. Is it because of poor sales being recorded by this vehicle? However, it could also be a strategy for boosting the year-end sales of this vehicle that is in line with what other auto manufacturers are offering as well. However, the huge difference amounting to Rs.4 lakh between the original and discounted price is something that is not very usual. 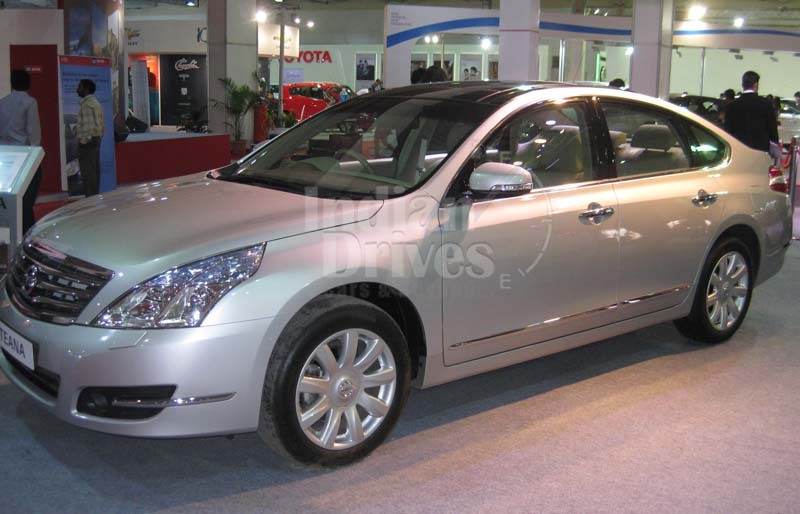 Hence, Indian Drives has conducted a small review of the Nissan Teana so as to understand the reason behind this huge cash discount. If someone has the feeling that the cars have been discounted for hiding some inefficiency, they are not thinking in the right lines as the cars as such have nothing wrong in them. The car scores significantly high on safety aspects. All necessary safety measures including airbags, ABD, EBD and the likes have been provided to the car. The car is unmatched in terms of its looks. This premium sedan is powered by a 2.5L diesel engine under its hood, which helps it to register impressive torque and power figures. It generates a maximum power of 182KW and a peak torque of 228Nm, which makes it the leader in its class of D-segment sedans. The only factor that seems to be pulling down the sales of this vehicle is its high pricing. However, it seems that Nisan India is equipped with enough ammunition to address this factor. The Nissan Teana is imported as a completely built unit and this causes the premium sedan to attract the higher price attached with it. But, this is not a factor bothering Nissan at this moment as low sales of the vehicle is paining it more. November proved to be one of the worst months for this car as it registered a mere 18 units of sales. This has invariably resulted in this huge cash discount being offered as the year 2011 draws to a close. The company is hopeful that the sales issue pertaining to the Nissan Teana for the time being, though miraculous changes are not expected.